If you’re like most Massachusetts residents, you probably enjoy visiting our beautiful beaches, bays, and waterfront parks. Yet Massachusetts beaches and coastlines are under siege—not by sharks, seals, or lobsters—but by plastic pollution, cigarette butts, fishing gear, and all manner of debris that wash ashore from our cities and towns. This pollution harms marine wildlife, fouls our shorelines, and harms businesses that rely on tourists. In fact, plastic pollution is a worldwide problem that has led to the formation of huge floating gyres of ocean trash, such as the Great Pacific Garbage Patch. These problems may seem insurmountable, but the good news is that there is much you can do to help right here in Massachusetts. Join forces alongside thousands of other Bay Staters by participating in a COASTSWEEP cleanup this fall. 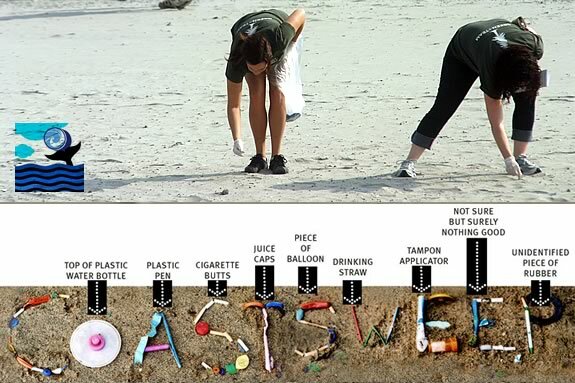 COASTSWEEP is a program organized by Massachusetts’ Office of Coastal Zone Management as part of the Ocean Conservancy’s International Coastal Cleanup. COASTSWEEP has been assisting Massachusetts residents in keeping our beaches beautiful since 1987, and last year participation grew to more than 2,000 participants. Together, these volunteers removed 25,389 pounds of debris from 181 miles of waterway. If you want to help grow that number, visit our events calendar to participate in a cleanup near you or organize your own event. You can also visit the COASTSWEEP website for more information.